Branding and marketing have become an important part of the cannabis industry as companies expand geographically. Becoming a household name doesn’t happen overnight, nor is it easy to get people to identify your brand without a lot of effort. Enter Cannabrand, founded by business partners Olivia Mannix and Jennifer DeFalco. The women previously owned a marketing business prior to entering the marijuana space, and jumped at the chance last year to fill a need in the emerging cannabis industry. Convincing people that they should put their hard-earned money toward marketing has been a challenge, Mannix said. People are coming around as the industry grows and more businesses enter the arena, forcing those that have been around for a while to distinguish themselves from the wide array of new players in the market. 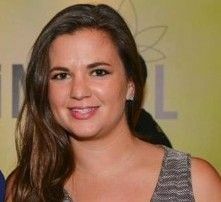 Mannix spoke with Marijuana Business Daily about the challenges of branding and marketing in the cannabis industry, educating those who are against legalization, and what it’s like being a female business owner in a male-dominated industry. What is the biggest challenge for those looking to advertise and how do you get around those? Definitely laws and compliance – just being able to market and advertise in the cannabis industry is a challenge. There are a lot of barriers to advertising and marketing so we need to be creative. It’s not like in the liquor industry where you have promo people at bars handing out free shots. It’s still very hard to do promotional events. You can’t hand out medicals or flowers or concentrates. People have to purchase the cannabis. Have people been receptive to doing more brand marketing and advertising? At first, people weren’t too keen on branding themselves or doing any marketing so it took a lot of convincing, but there are definitely companies that are taking it more seriously. Some people say “marijuana sells itself,” but there’s a lot of competition so you need to differentiate yourself to reach your target market. It’s picking up more and more but it’s taken some time. We’ve tried to communicate with companies on the importance of marketing. As a marketing company, how important do you think it is to educate those who are against legalization? One big challenge would be people who don’t agree with marijuana, not understanding the value. Education is a big challenge and changing people’s minds is one of the things we do – we try to rebrand cannabis and highlight its medical properties. There are so many ailments it helps with, and it’s safer than alcohol, so those are the challenges we highlight. How difficult has it been finding qualified people who want to work in the cannabis industry? We get 20 resumes a day sent to us from all types of people. Some of them think it’s going to be a free-for-all but that’s not the case, and when they sit in front of me they realize that’s not the case. The industry has become more and more business-oriented in the past few years and a lot of people are leaving other industries because they see the opportunities and challenges, so it’s definitely changed. How has being a female-owned company impacted the way you do business? It’s been a challenge for my partners and I. We definitely have experienced some biases but things have gotten better. In the past there was a lot of sexism and exploiting of women, and that’s something we’re against. And our clients don’t want that. Women consume cannabis so they’re a big target market. Women, the LGBT community – all of these are channels that need to be marketed to. Do you expect to see companies making a name for themselves in several states? I do expect to see companies go national, and they have, especially with licensing deals. It is only a matter of time until we can ship cannabis across state lines, until we’ll be able to manufacture a product in one state and ship it to suppliers or distributors in other states. The problem people in this business face is that everyone is selling the same thing. The final winners will be the farmers who plant 1000 acres and sell for $10 a pound. Regarding her statement, “we try to rebrand cannabis and highlight its medical properties. There are so many ailments it helps with, and it’s safer than alcohol….” Be aware that FDA sent warning letters to several CBD-product sellers earlier this month, citing unlawful health claims. Obviously no one remembers CannaBrand, the group that claimed they would “weed out the stoners,” and that “dispensaries looked like underground abortion clinics.” Yes, I’m sure Ms. Mannix knows what she is doing from her 1 year of experience of alienating and demonizing the very industry she professes to work to improve. Yes, a great deal of the cannabis industry advertising/marketing is horribly sexist and has been for years, but people like Ms. Mannix wont change that…she’s just using an issue to try an make a buck. Groups like Women’s NORML Alliance, NCIA, Women Grow, LadyBud Magazine, and other groups where there is a strong presence of strong women (and men), will help put an end to this tasteless advertising. It can only improve by cannabis businesses committing to investing in quality marketing. As the industry grows, so will more indie marketing campaigns like the clever http://goodtoknowcolorado.com and cannabis businesses will have a more competitive market to choose from.